"While not the best, it is a decent move for the future of successful video game movies"
The video game based film. Once the elicitor of waves of excitement from gamer fans, now brings about feelings of cautious apprehension and even groans in some cases, depending on the game being brought to screen. The genuine feeling is that the film won't be any good, for the same reasons that most video game movies don't seem to work, which is that the basic building blocks of gamer experience isn't able to be properly translated to the viewing experience. 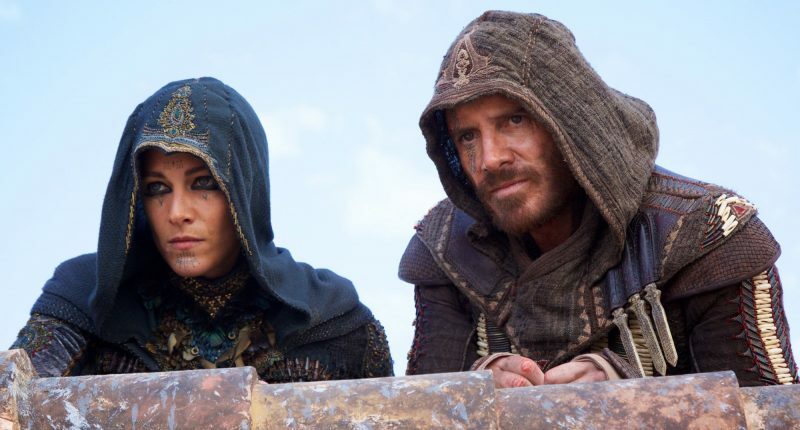 Assassin's Creed, perhaps has elements of that going on, but if you've ever played a game from the series and said, this would make a great movie, this offering is probably not that movie, but it is certainly a strong step in the right direction. 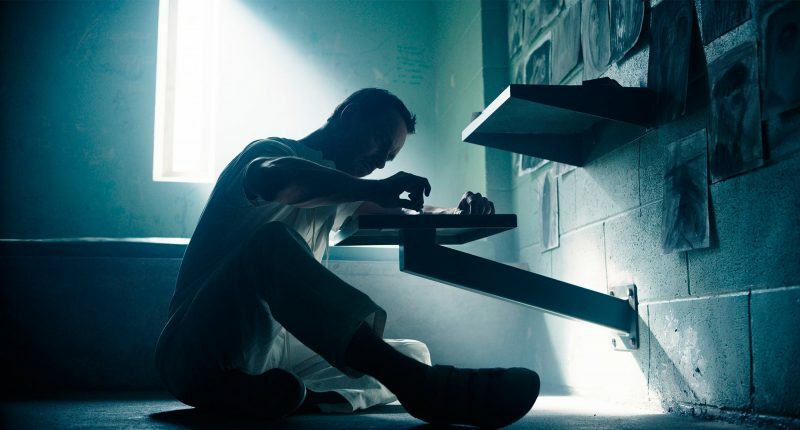 The talented Michael Fassbender stars as Callum Lynch a man who is sentenced to death for committing murder. He discovers later that he isn't dead and that he is needed by an enigmatic organization driven by science to help find an ancient artifact called the Apple of Eden, something that has been at the heart of a centuries old conflict between a group of assassins who fight to protect free will and the Templars who seek to achieve peace by creating the perfect human, devoid of free will. How Callum figures into all of this is that he is the descendant of Aguilar de Nerha (also played by Fassbender), who was an assassin during the Spanish Inquisition. Callum is led to believe that his involvement with the mysterious organization is in the name of the greater good, but as we know from most organizations in films that are presented to us rather murkily in terms of their motivations and such, there is something a little less altruistic about how they move, which can be good or bad. It'll be up to Callum to figure out which. So maybe Assassin's Creed isn't that first video game based movie that is truly great, but it certainly isn't as bad as it's been cracked up to be. You look at one of the main reasons why movies based on games can't seem to get a foothold on anything solid with regard to a substantial experience, which is the lack of proper translation of the gaming experience to the movie experience and what is involved in that. When film studios obtain the rights for certain properties, they have control over how the film based on that property will be made. What Assassin's Creed does right, like the other gaming film released this year, Warcraft, is that the gaming companies that produce the games are involved in the filmmaking process, which is as it should be to best ensure the smoothest transition from game to film. Ubisoft's involvement in the production of the film is felt most prominently perhaps during the action set pieces which take place primarily during the 15th century. Those scenes featuring Aguilar and the assassins of his time feel lifted almost precisely from the video games. The chases on horseback, through the nooks and crannies of 15th century cities that involve fluid parkour-type movements and tight fight choreography are exhilarating, kinetic and sufficiently lengthy. If there is one aspect that is the most right about this film, it is the action. If you were to base opinions solely on that, you would have a true winner in this film. However, because this is a film and not a video game, it should also function as a proper film. Complete with all the film mumbo-jumbo like decent cinematography, a musical score that is passable at best, a compelling story and a logic that is clear even by its own standards and parameters, and most importantly rich characters who have strong motivations and interesting dynamics. If we are looking at what some of the sufficient filmic aspects Assassin's Creed has going for it, we could say that Adam Arkapaw's cinematography is very strong. It feels most rich and textured during the 15th century scenes, but there are a few good examples during the present day that work also. There are great sweeping shots of the landscapes during battles and expansive aerial shots, particularly during brief sequences where an eagle flies about, which ties together strongly the parallel thread of the ever vigilant group of assassins and the watchful bird of prey. It is beautifully captured, even if perhaps the eagle is computer generated. The only tick mark against it is that it happens perhaps one too many times. Once at the beginning and once at the end of the movie might have sufficed. Anything else feels as if the audience isn't smart enough to understand the importance of the eagle, even after as much had been suggested by characters in the film. Is the story compelling? Perhaps not enough. Engaging and intriguing? With a concept as interesting as genetic memory, you bet the story is engaging and intriguing. That said, it is not enough to just have an intriguing premise. For instance, the real meat of this movie is in what happened in the past, and in fact there is where the most interesting bits of story are. The problem here is that the film fails to enriched the proceedings of the past with anything substantial that goes beyond the hunt for the Apple. It would have been great to spend a little more time in the past fleshing out Aguilar and his story, his relationships with his mentor and love Maria (Ariane Labed) a fellow assassin. The film could have benefitted from giving the link between Aguilar and Callum more richness by strengthening the 15th century stuff and treating Aguilar as a fully developed character instead of merely a plot device to move the story forward. It wastes Fassbender's talents in the most interesting bits of the film, denying him spaces of intricate moments of acting, which in turn denies us the heart of Aguilar's character beyond the mission of the assassins. We never really get to see what drives him or Maria aside from blind loyalty to the cause. Sure, that information is divulged via dialogue somewhere, but it isn't enough. We need to know who this man is and we don't really get that. Fassbender is the film's biggest draw. In both the past and present scenes, his presence is commanding and the resulting performance is solid. It is unfortunate that the script does not allow him more room to stretch and showcase his chops. Marion Cotillard is also a huge score for a film like this and does as well as the story allows her, but she too is limited. Jeremy Irons brings along some gravitas as well, but he also feels like a one-note character that does not present us with much beyond his motives of being driven by the Templars. We are given hints of the backstory between Cotillard's Sophia and Irons' Alan; their dynamic is an interesting one, but we are not really provided with enough meat for us to understand who they are at the core, as is ultimately the case with Fassbender's Caleb. 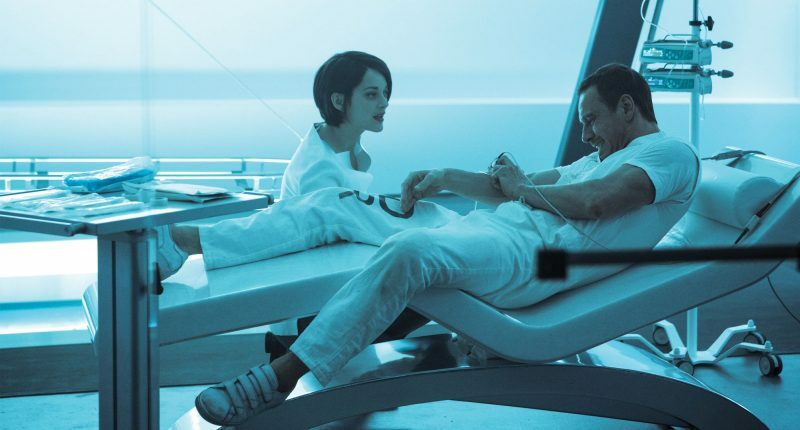 Assassin's Creed is ultimately a good attempt at successfully adapting a video game into a movie. Could it be better? Sure. It suffers from a lack of depth in the material, which ultimately fails to get the audience to care about the proceedings emotionally. The characters could have been given more space to really flex themselves, which would have provided more for the audience to grab hold of. It is respectable that filmmakers were trying to go in a new and unexpected direction from the video game, creating new characters like Callum to have a more or less open canvas to paint on and not be so tied to the narrative of the game, but perhaps it might have been a prudent move to more faithfully adapt the story from the first game for more richness of subject matter and characters. The film seemed to leave things open for a sequel. Let's hope that should a sequel ever come to light, that the next movement will be an even stronger step toward a great video game based movie.